Ubicado al final de Waikiki, a pocos pasos de la playa y docenas de atracciones, como el zoológico, el acuario de Waikiki, el escenario de conciertos en Waikiki Shell, fabulosos restaurantes, tiendas y mucho más. En nuestro edificio tendrás acceso a dos establecimientos de comida, el bar de Hula y el stand lei y mundialmente famoso "Teddys hamburguesas, piscina, lavandería en el sitio, salón de uñas y masajes y lo más importante que tendrá los propietarios en el edificio 24/7 disponible Para cualquier pregunta o necesidad. Super limpio baño con lavabo nuevo, tocador y grifo. Gran ducha con una sola perilla de control. Cuarto de baño es totalmente de azulejos .. Nueva cortina de ducha y toallas .. También se proporcionan dos grandes toallas de playa ..
On the quiet end of the beach, nice looking out at Diamond Head and the big park. In the quiet mornings & evenings with our apartment "lanai" slider door open, you could hear and watch the native birds hanging around zoo grounds. Sunset at Queen's beach was fun, walking to beach from here was a piece of cake, many are barefoot. What a beautiful place, small and cozy. 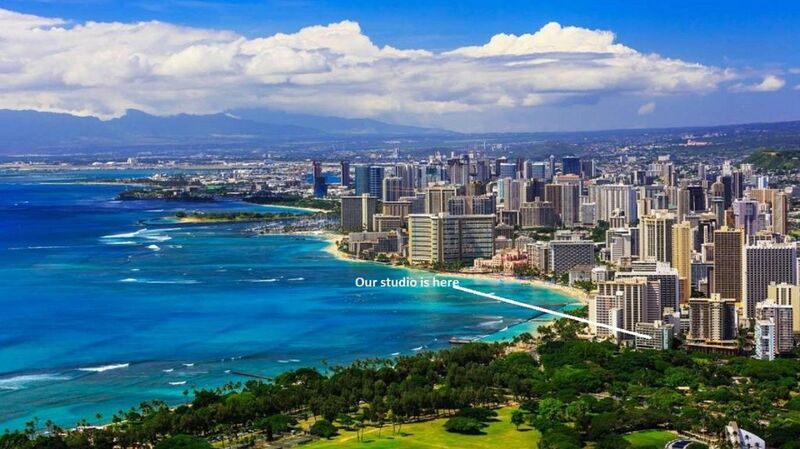 The condo was clean and well situated, just steps from the main Waikiki strip. We overlooked the zoo, a nice green space. The sunrise and view of Diamond Head mountain were towards our left and a view of the ocean on the right. We really enjoyed our morning coffee on the lanai. The amenities were great, Keurig and coffee supplied, full size fridge and a cook top. There was a safe in the room, which is a must for travellers. The door had a combination lock, which means you don't have to worry about carrying around a key when you're at the beach. Tina was awesome, she helped us out with an additional night when we were in a bind. We wouldn't hesitate on booking here again . Tina was a great host. The condo is nicely done. The beach chairs and umbrella was a great touch. Totally amazing place all the comforts of home outstanding hosts Tina & John aim to please you !! We loved our stay at Tina's condo. The balcony view can't be beat with an unbelievable view of Diamond Head to the left and then a view of the ocean on the right. The condo is right beside the Honolulu Zoo, which makes the area very quiet. Sunrises on the balcony as we sat sipping the delicious complementary coffee and tea started our mornings just right. This condo is the perfect size for any couple. Tina met us in the lobby and made us feel right at home, she took us up to the condo, reviewed everything we needed to know and ensured us we could call her if needed. She has obviously taken great care to ensure that we had every amenity we could possibly want or need. The Hawaiian munchies after our extremely long travel day was a very thoughtful touch. We loved the short quick walk to the pier and Waikiki beach. This condo and our host Tina truly stand out above anywhere we have stayed previously. It is very popular.... so I recommend booking it if you can, you will not be disappointed. Everything was PERFECT! Tina is the definition of a super host, she goes above and beyond for guests. The space was well maintained, organized and very clean! Rates are subject to change until dates are booked. Please check with host to see if late check-out is available if needed.